Mlive blogger: Could Draymond Green be destined for the NBA? Is Draymond Green a future NBA player? We’ve been down this road just recently with a few in-state players — UM’s Deshawn Sims and Manny Harris come to mind, along with Oakland’s Keith Benson. It’s the big question on everyone’s mind: Are they good enough for the NBA. But what about MSU’s Draymond Green? The undersized power forward from Saginaw High has been among Michigan State’s best and most consistent performers this season — not to mention easily the Spartans’ top post threat. In a recent blog about Green’s NBA chances, Mlive’s Patrick Hayes (a friend and NBA sage) puts forth his opinion that if Jason Maxiell can do it, why not Green? Last month when I penned a UM basketball preview for Mlive’s It’s Just Sports blog, I worried that I wasn’t giving the Wolverines enough credit. Here’s the gist: I didn’t they would be any better than the 21-14 team I watched last season. I thought that team overachieved. The fact is, this team is far worse. After Michigan’s embarrassing loss to Utah last night, I’m further convinced that this team’s ceiling is actually the roof at Madison Square Garden during the NIT. 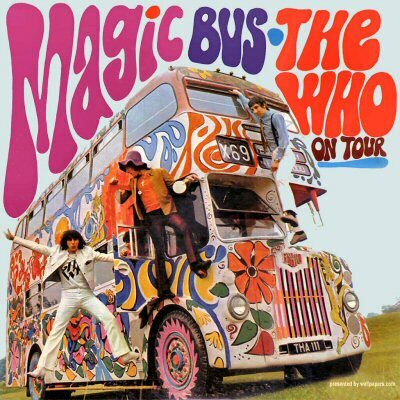 John Belein’s driver seat in the Magic Bus is getting hot, real hot. ‘NIT’-picking: Is it too early to leave UM out of NCAA tournament? ANN ARBOR, Michigan — I spent a couple hours in Crisler Arena last night watching a team that I’m certain won’t make the NCAA tournament. The University of Michigan lost to a pretty average, at least by ACC standards, Boston College squad that will itself probably just sneak into the tournament. What’s Michigan’s problem? Simple: They don’t have much talent. I know that Coach Belein is supposed to be able to win without much of it, but even he won’t be able to get this team to the NCAA Tournament. Manny Harris had a triple double vs. NMU. Not in all my life did I ever think I’d hear Michigan’s John Belein-coached basketball team described in that manner. But, that’s how Northern Michigan coach Dean Ellis saw the Wolverines after his team’s 97-50 loss on Saturday. And Manny Harris is to blame. The former Mr. Basketball tallied a triple-double for the game and appears poised to be among the top guards in the nation in 2009-10.
Who would you rather have attacking the basket than Manny? Maybe Evan Turner, but no one else in the Big Ten is better.